An EMR As Specialized as You Are. 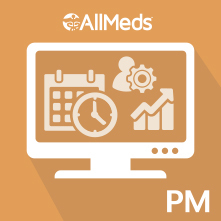 AllMeds EMR was designed from the ground-up for today’s Surgical Specialists to work the way you do. AllMeds was founded nearly 20 years ago by a practicing surgical specialist to explicitly address the unique needs of independent specialty practices. Specialty clinical libraries and logarithms were built to ensure the EMR would be immediately effective on Day 1. 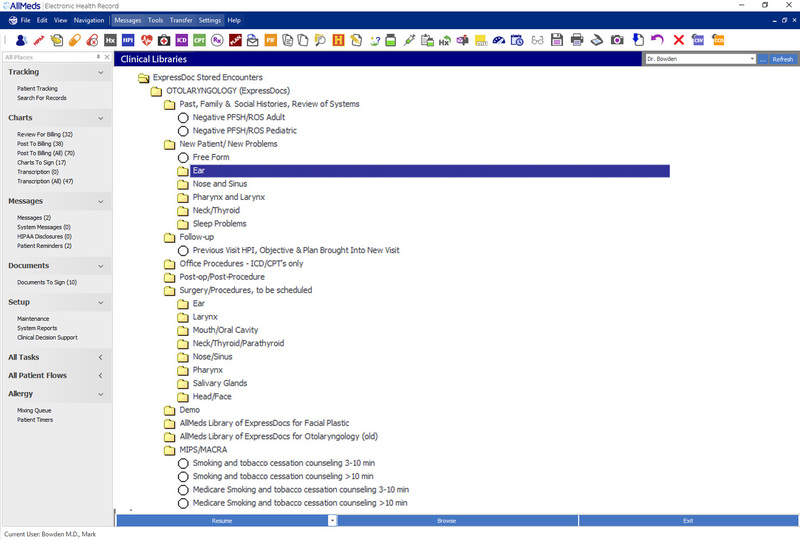 Workflows and interfaces were designed for greater usability. Communications with specialty-relevant equipment and systems were created for critical interoperability capabilities. 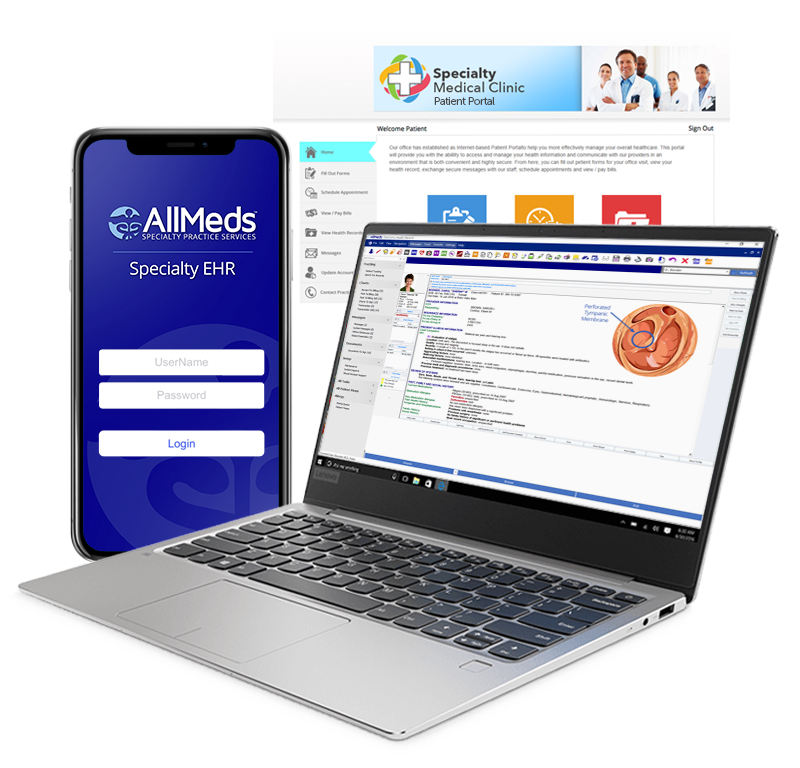 Today, AllMeds EMR is used by surgical specialties across the US to radically enhance workflows and efficiencies, reduce documentation chores, improve coding accuracies, and optimize the bottom-line. Build comprehensive patient histories with minimal staff effort by leveraging AllMeds’ ExpressHx™, Patient Portal… and your patients’ own efforts! Patient Portal for convenient, secure input with any Internet-capable computer or device. ExpressHx™ for a bubble-sheet scanning solution that can be used in the office. Patient Portal for convenient, secure input with any Internet-capable computer or device. ExpressHx™ for a bubble-sheet scanning solution that can be used in the office. 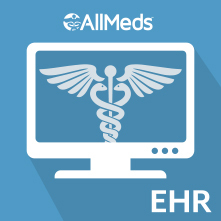 Prescribe directly from the EMR before leaving the exam room with AllMeds’ integrated eRx solution! AllMeds’ exclusive coding modules harness our deep specialty content for a more efficient and accurate billing process. AllMeds’ customizable CodeSYNC relieves your billing staff of the frustrating and time-consuming chore of matching diagnoses to appropriate treatment codes. Flexible enough to handle both national and regional requirements, CodeSYNC suggests acceptable treatments that may be applied to the diagnoses you make at the time of service, rather than days later. AllMeds’ SureCode helps your billing team avoid the complicated and confusing bundling/unbundling issues that oftentimes result in costly reimbursement delays. SureCode runs your CPT/ICD-10 encoded encounters against our comprehensive coding library to better ensure fewer rejections on accepted national standards. Medicalcare’s most robust specialty EMR to optimizing encounters, maximize workflow, & ensure government compliance. Harness Predictive Workflow™ to enhance your front-office, scheduling, and billing functions with a game-changing PM. 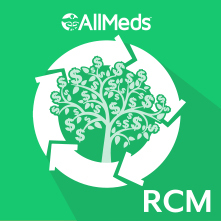 AllMeds’ RCM services for partial, temporary or turnkey Billing & Collections services that will dramatically improve your bottom-line.